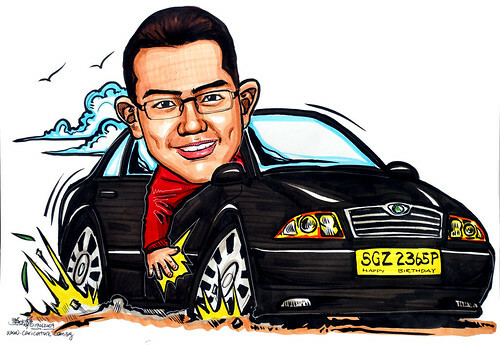 can we explore the line of him in his car, Skoda Octavia (dark grey) ...."
Did this caricature linework in Kuantan. My nephew, ZiLe, was fascinated with it, as he likes cars, and drawing too. Thanks for the caricature. As I was too zonked out yesterday when I went to collect it, I did not really give it a proper look. But now that I see it properly, being much more awake, I like it and hope my fren would like it as much as I do too!